In the Himalayas, hidden behind the Dhaulagiri and Annapurna mountains 3,540 meters above sea level, sits the almost surreal yet breathtakingly beautiful region of Upper Mustang, Nepal. 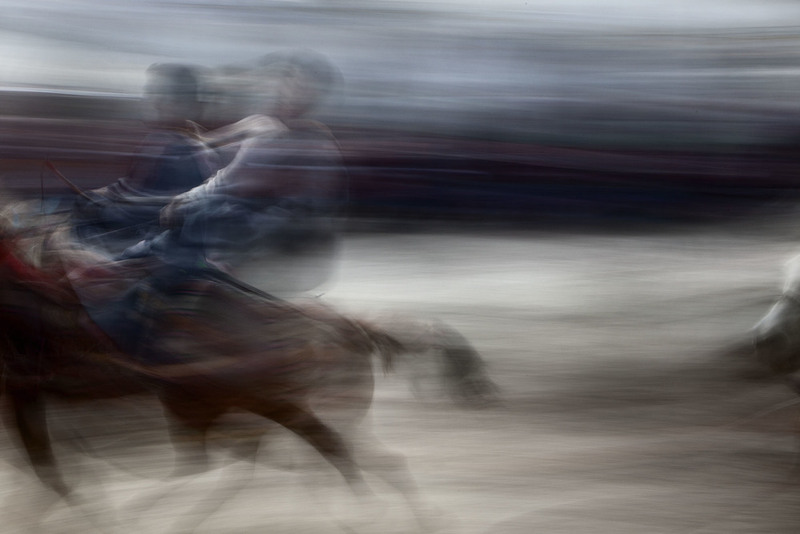 This is where the century old horse racing festival known as Yartung is held each year in the village of Lo Manthang, the 500-year-old capital. The Yartung Festival is 3 days of festivities celebrating the end of a healthy crop season and a very welcome break away from the difficult labor in the fields with an all out horse race between villagers showcasing both strength and skill. People from all surrounding villages gather in Lo Manthang to take part. Each day they line their brightly decorated horses up, one after another, outside the square of the royal city by noon. The celebration won’t kick off until you hear the beating of drums and the humming of voices marching down the street as the village elders lead the community in song. The race begins in a cloud of dust as the horses and riders are off. The festival lasts for 3 days and each day marks a new way of celebration. Day one is the King’s day, reserved only for the men. Day two is the Queen’s day where the women will take part in singing and dancing alongside the men. Day three is for the monks. 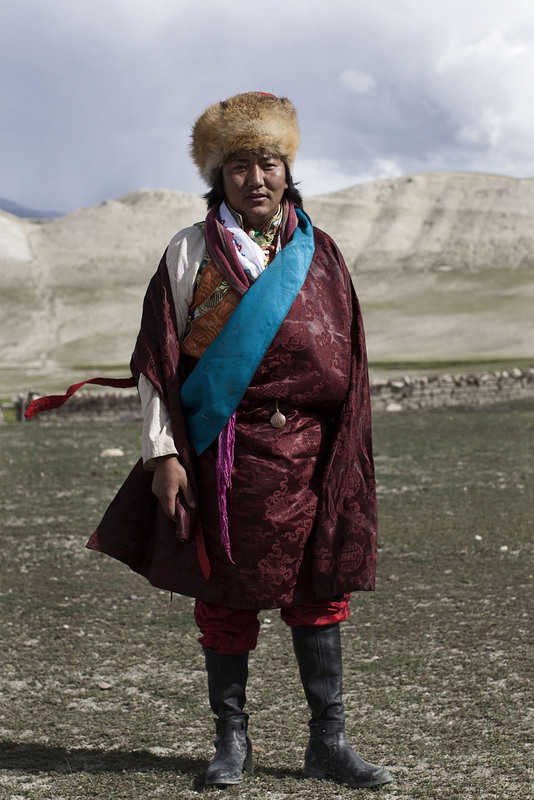 Although Lo Manthang is geographically located in Nepal, the Tibetan lifestyle is prevalent throughout. 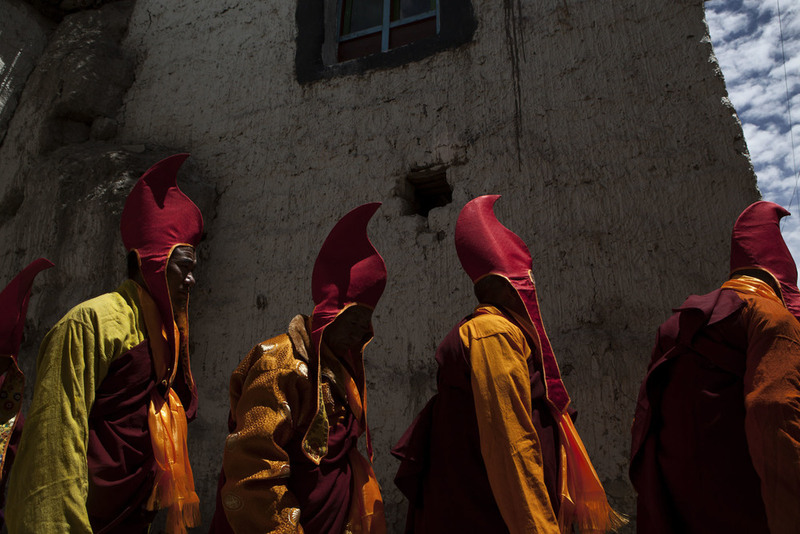 The monks from the village monasteries gather in traditional dress to take part in the celebration, eating and playing card games. Every day begins with a sign of friendship and good faith by members of the different villages offering scarves and small gifts to other community members. After the initial horse race into the open fields where tents have been set up they allow their horses to be released into the field while they celebrate by singing and dancing to the traditional beats and enjoying the local drink, Chong. As the afternoon of lively celebration ends the horses are saddled once more and the men are off on a race back to the village. It’s here, in the evening light, where spectators gather on tops of buildings, standing elbow to elbow to watch riders aged 16 to 65 race back and forth down a small road until the last bit of sun has slipped away. It’s a celebration of camaraderie and competition you can feel as well as see.